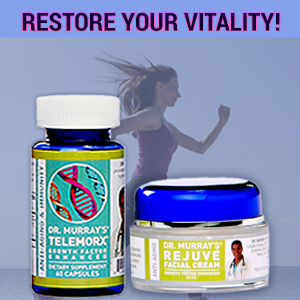 Women's Vitality Pack - Look and feel great with Dr. Murray's best-selling Telemorx® health and wellness supplements and customer favorite, Rejuve Facial Cream™ specially formulated with extra bovine growth factors to help rejuvenate your facial skin. Telemorx® can give you more energy to help counter that "burnt-out" feeling. Telemorx® is cold processed and ultra-filtrated Bovine Colostrum (BC). As you know, Colostrum is the first 48 hours of feeding, that a cow gives to her newborn calves. It is a clear liquid and is of the highest quality Colostrum on the market today. It is made by a patented refrigerated process and is neither pasteurized, nor spray-dried and therefore retains the highest bio-availability. 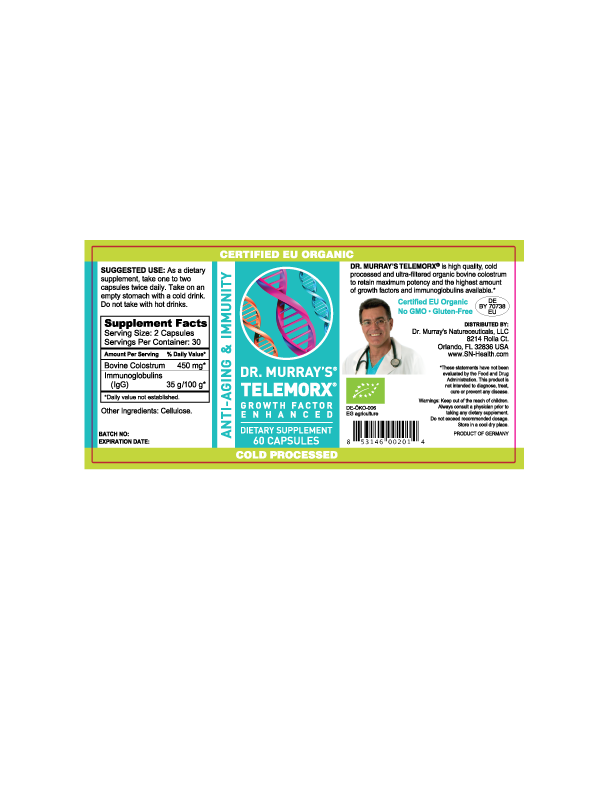 See patented process - click here. Skin rejuvenation is the goal of many of our patients, particularly here in Florida, which has a consistently high UV index. Rejuve Facial Cream™ is our answer. Unlike over the counter skin creams that promise to improve the condition of your skin, Rejuve Facial Cream™ delivers. 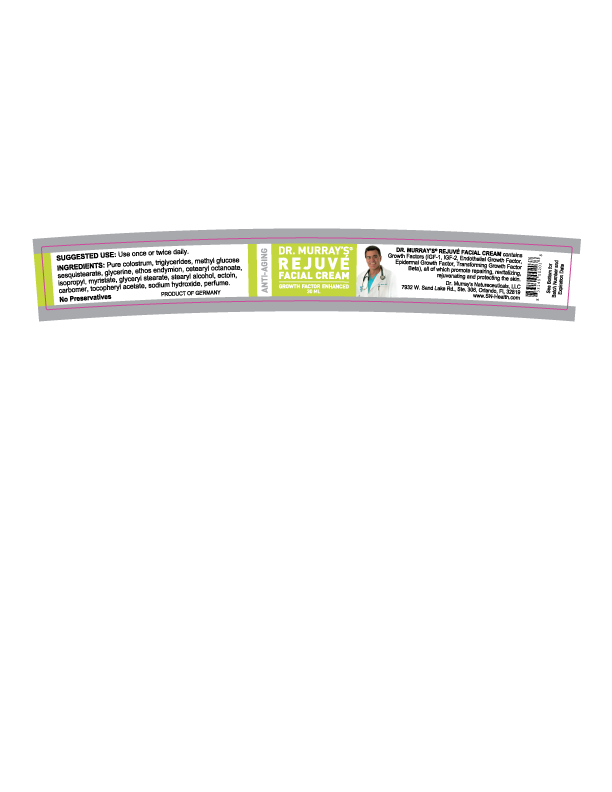 My patients swear by it and the reason is because Rejuve Facial Cream™ actually helps skin damage and the natural aging process. It isn’t a fountain of youth but it is a cream of youth. The reason for the remarkable results you will see on your own skin is because Rejuve is enhanced with extra growth factors. It actually has all 9 growth factors in it to rejuvenate your skin. In fact, it contains 100% more growth factors than plain colostrum body cream and the “ectoin” in our ingredient helps with UV light damage to your skin. Use Rejuve Facial Cream™ and your skin will feel better and look better and if you have any doubts I guarantee it with my 100% money back, “no questions asked” guarantee. You will either get the results you want or get your money back.